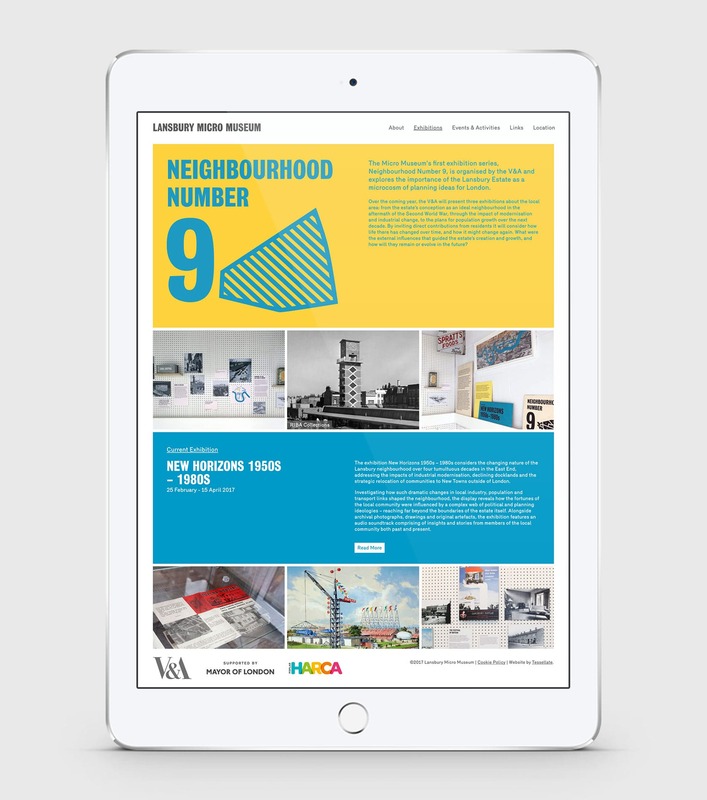 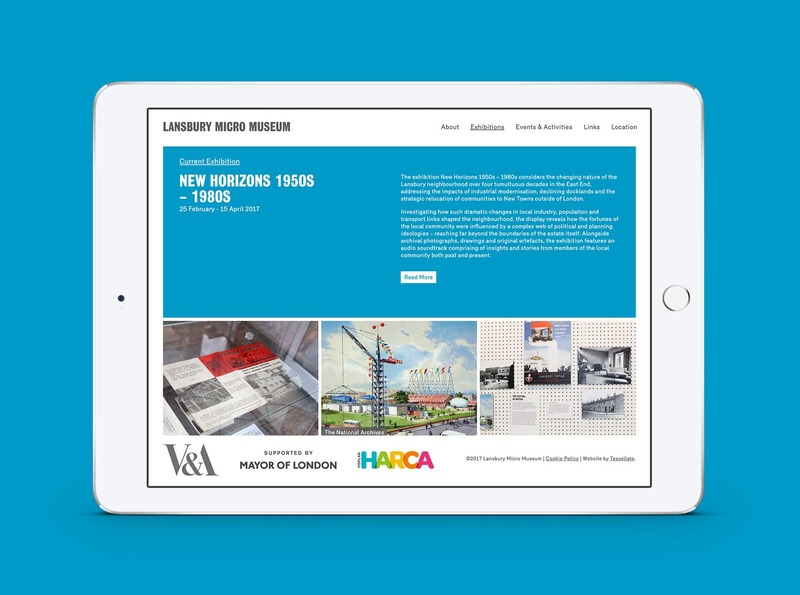 A website designed and developed for the V&A Lansbury Micro Museum. The museum is an exhibition and workshop space within Chrisp Street Market in East London. 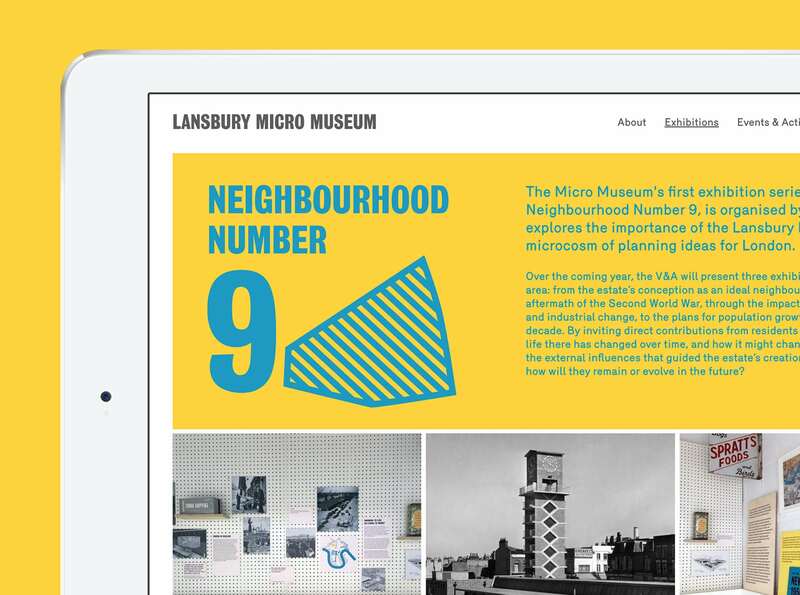 The V&A has presented a series of displays exploring the rich history and architectural importance of the Lansbury Estate.